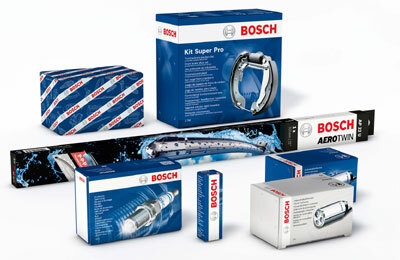 Bosch Automotive Aftermarket Middle East & Africa (MEA) has rolled out a new packaging design for its spare parts and car accessories. The new sales packaging will gradually replace old packaging throughout the region over the next year, and features a large sample product photo, along with the product identification number and information on the product benefits. A striking white band running around the packaging that includes the Bosch logo ensures that buyers can easily identify the brand, helping them to select the right spare part or accessory, a statement said. Andreas Bodemer, vice president for Bosch Automotive Aftermarket MEA said: “Bosch is a worldwide leader in the automotive aftermarket sector and has been supplying the highest quality spare parts and car accessories for more than 125 years. The new packaging for Bosch spare parts and accessories will include spark plugs, batteries, diesel systems, braking systems, diagnostic test equipment, filters and rotating machines. One focus was to ensure that products are clearly labeled and that the International Article Number (EAN) codes and serial numbers remain unchanged, meaning the modernisation of the packaging design will not create any extra work for trade or workshops. Before launching the new packaging worldwide, Bosch conducted an international market survey in order to determine customers' requirements for the packaging design and to ensure that it met market needs.